Have you been daydreaming about warm summer days lounging by the pool laughing and playing with your kids? Pool construction probably seems like something that only happens during the warmer seasons. But that’s actually not true. It turns out that winter is the ideal time to break ground on that outdoor oasis you’ve been dreaming of. 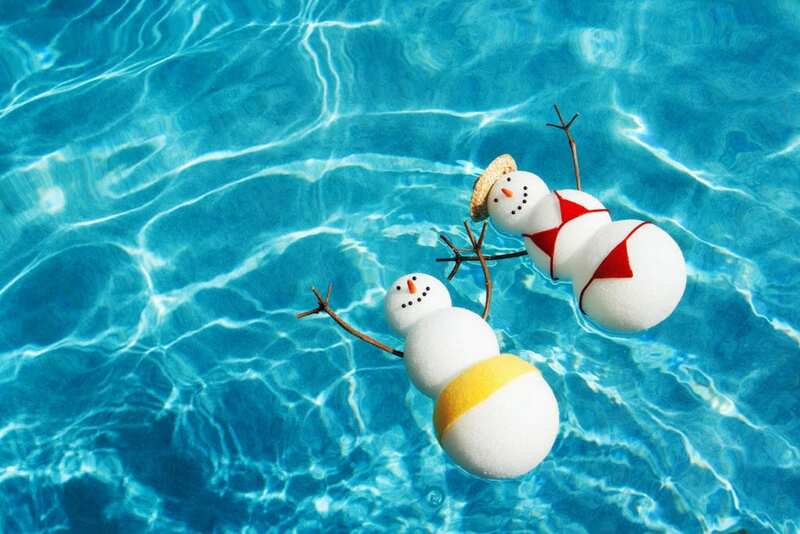 Here is a list of 5 reasons why you should build a pool in the winter. So, grab your favorite poolside drink and let’s dive in. Winter is generally a slower time for pool builders, which means less competition and lower costs for materials and labor. Meaning, the overall cost of construction can be lower. You may also be able to benefit from end of the season discounts and special offers. Again, because winter tends to be a slower time for builders in general, we are often able to obtain permits faster than usual and get digging sooner. Having your backyard torn up any time of the year is difficult. But having your backyard torn up during summer is almost crime! At least your kids probably think so. It may be easier to break ground in the warmer months but Form Pools is prepared to work all year around. All of our pools are built to withstand the winter freeze so building during the cold season has little effect. It is also a lot more enjoyable to watch your pool being built in the winter season instead of impatiently waiting for it to be finished to then realize you only have two weeks left of summer vacation to enjoy it. 4. Heavy machinery is cool! Your kids will agree. Watching heavy machinery while drinking hot cocoa is a great way to spend the day. As soon as the trees are budding and the birds are chirping, your family will be the first ones swimming! The spring and summer are the busiest times of the year for construction. This can lead to delayed start dates because of limited availability. As the weather starts to warm up, people start thinking about pools. This is great for us, but not so great for you. No one wants to wait months to start their project so avoid the rush and start now. If you’ve been delaying making a decision the most important thing you can do is act now. For more information or to request to bid from Form Pools head on over to our website here and let’s start talking about your new pool.